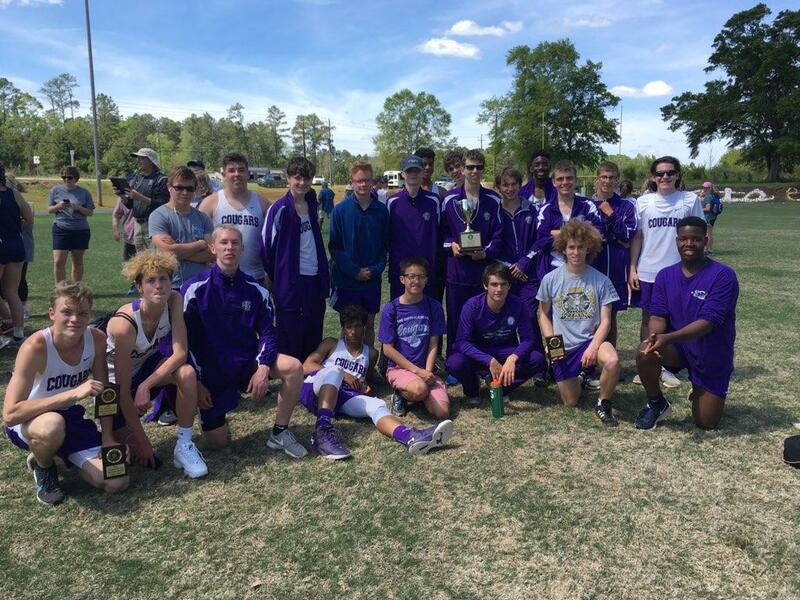 Yesterday, The Cottage School boys defeated all-comers at the region I-AA championship held at Flint River Academy with a score of 174, while remnants of the girls’ team fought mightily for 4th place in the girls contest. The top four finishers in each event advance to the state championship meet in Albany, Ga. the last week of April. Nick Daugherty won region in both the 1600m and 800m runs in 5:31.44 and 2:29.34 respectively, while mate Daniel Byman placed garnered Bronze in both events at 5:52 and 2:33.75. He also placed 5th in the 400m with a 1:13.75 as a warm up for the 1600m, while rookie frosh Aidan Briggs placed second in 59.80. Daugherty returned with his comrades in both the 4X100m relay (Payne, Conroy and Michaud) to place 3rd in 54.90, while the A team of Kimble, Hendrickson, Vogel and Briggs placed 4th in 54.95. Daugherty rose again to the challenge, and qualified with his 4X400m relay team of Conroy, Kimble and Briggs to earn silver in 4:28.04, while the B team took Bronze in 4:38.14 (Hendrickson, Smith, Vogel and Michaud). Larry Orsini won region again in the grueling 3200m at 10:59, while Daniel Byman placed second at 12:41. For the strong men, Toby Nwokedi and Shane Hendrickson placed 2nd and 4th respectively, with tosses of 81’06” and 73’03” in the discus. Toby returned in the shot to earn 4th with 29’03”, while Nick Voorhees place 5th with a heave of 23’ 08”. Eric Vogel and Nick Smith placed 5th and 6th, respectively in the triple jump with leaps of 27’10” and 27’09”. Aidan Briggs and Will Conroy placed 4th and 5th in the long jump with 15’06” and 14’ 09.5” efforts. Briggs earned 4th to garner a spot at state as well in the high jump with a vertical of 5’02”, while Alex Hogg placed 5th with a no height of 5’0”. Kyle Kimble and Shane Hendrickson placed 2nd and 4th in the 300m intermediate hurdles with runs of 49.85 and 54.95, respectively. In the 110m high hurdles, Kyle Kimble placed silver at 21.45, while Nick Rice earned Bronze in 26.35. Kyle Kimble and Eric Vogel placed 2nd and 4th, respectively in the 200m dash in 27.04 and 30.11. Chip Payne and Alex Hogg placed 6th and 7th in the electrifying 100m dash in 13.70 and 14.43. On the girls’ side, Brandy Michelle Finnell placed 8th in the shot put at 18’01” with a scratch in the discus. The senior captain returned with a valiant effort in the 400 dash for 6th in 1:32.89. Natalia Hoeve and Jordan McGuffey placed 8th and 10th respectively, in the 100m dash with times of 16.60 and 19.84. Natalia Hoeve earned 9th in the 200m dash with 38.47. Hoeve also placed 9th in the long jump with a jump of 9’09”. Grace Marriott qualified for state in each of her events by placing 2nd in both the 3200m and 1600m runs and a close 3rd in the 800m, in 15:36, 7:35 and 3:30.29. 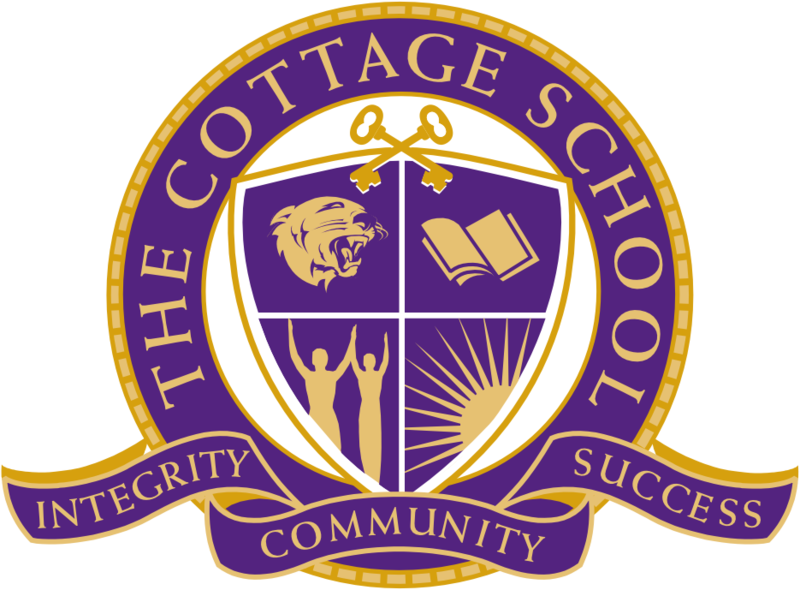 The Cougar student-athletes qualifying for state at Hugh Mills Stadium Thursday-Saturday, 25-27 April will sharpen the razor, honing their hard won fitness daily in their pursuit of becoming their best, and bringing honor to their families, school, team and selves. Thank you for your continued support.